Update 4-21-15 – Start R.I.G.H.T. 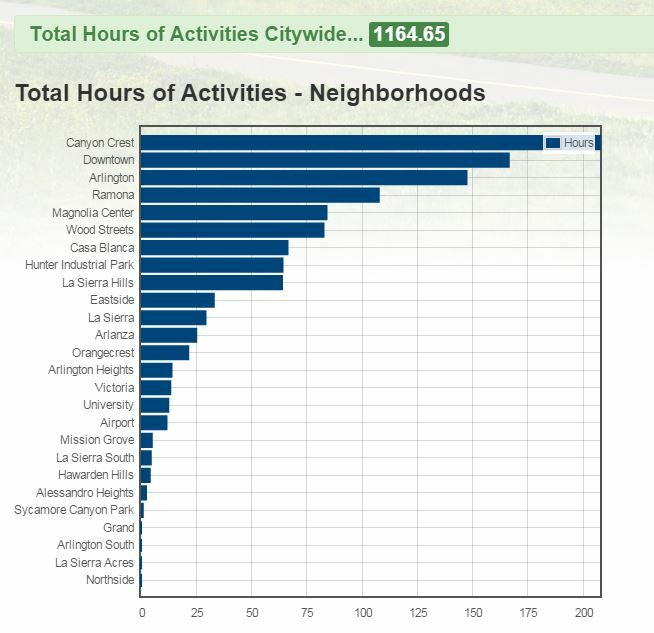 We’re in the 6th week the challenge, up to 1.164 hours of logged activity and Canyon Crest decided to keep the lead. Although the lead hasn’t changed since last week, Downtown has certainly stepped up their efforts. The Downtown neighborhood squeezed into second place this week forcing the Arlington neighborhood into 3rd place. Looks like we’ve got some healthy competition going on. You’re doing great!